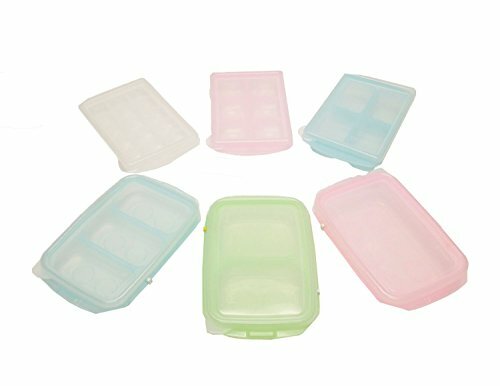 (Set of 6) easily pop out 1, 2, 3, 4, 6, 15 compartments ice cube, food, baby food storage sets, BPA-free PE tray with clear lid in multi color - RRE ice cube tray can store meat, seafood, soup, sauce, salad, pizza, fruit, vegetable, leftovers, cheese, three servings of rice, side dishes and more. The months are marked along one side of the lid and dates are along the other side, both with slide bars to mark the dates. G, OZ, ML, LB are engraved on the side so it is convenient to measure. The hygienic lid protects contents from losing its taste as well as from surrounding smells entering in. It locks moisture and oxygen from seeping in and spoiling foods and retains freshness, including produce. It can be used in the kitchen, to pack lunch or to bring it for the outdoors and camping. 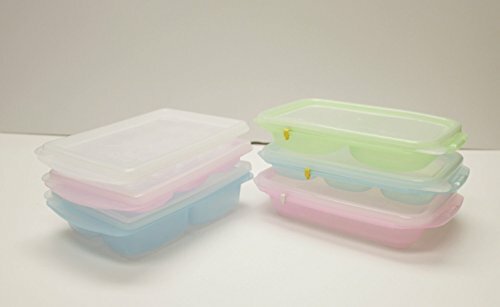 Since they have lids they are stackable and will not slip. 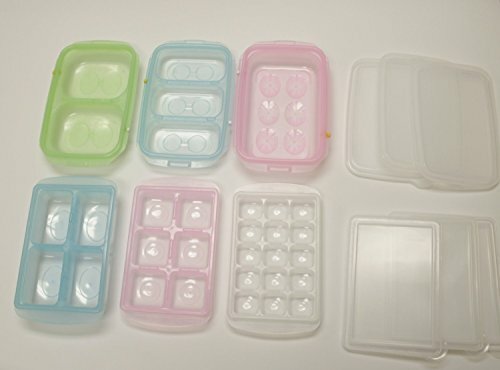 They keeps your refrigerator and freezer organized. Made in Korea. Can use in the kitchen, pack lunch or bring it for the outdoors and camping, product dimensions: 5.9" X 9.3" X 1.8"
If you have any questions about this product by HSI, contact us by completing and submitting the form below. If you are looking for a specif part number, please include it with your message.